OTTAWA - The $60-billion effort to build new warships for Canada's navy has hit another snag, this time in the form of a legal challenge by one of three companies in the competition to design the vessels. 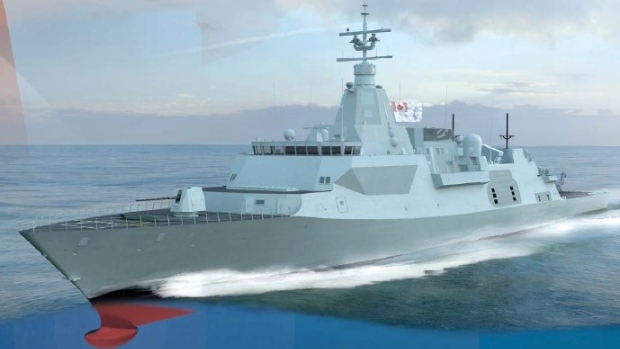 The federal government announced last month that U.S. defence giant Lockheed Martin beat out two rivals in the long and extremely sensitive competition to design replacements for the navy's frigates and destroyers. The rules of the competition required the federal procurement department and Irving, which helped evaluate the bids, “to reject Lockheed's bid because of its non-compliance,” Alion added. Instead, they selected it as the preferred design. But industry insiders had long warned that Lockheed's selection as the top bidder, combined with numerous changes to the requirements and competition terms after it was launched - including a number of deadline extensions - would spark lawsuits.